Scrambled, fried, poached; however you like yours, we guarantee that Castlemead free-range eggs are fresh, nutritious and top quality. 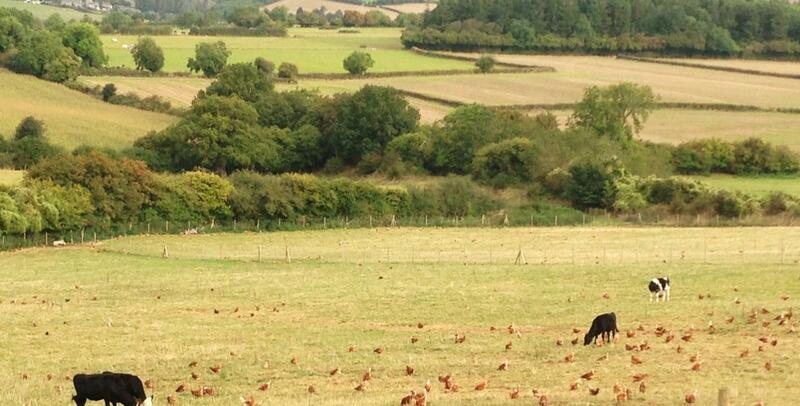 At Castlemead our free-rage eggs are produced by happy hens, free to roam the fields side-by-side with the cows. They love to scratch and peck their way across the hillside, ensuring that the eggs they lay are of top quality with sunny yellow yolks and strong shells. At night the flock returns to their spacious houses to perch without stress with safety from the fox. The eggs are collected twice a day to ensure freshness and are graded and packed onsite.